Are you looking for a gift for a friend, hostess, co-worker, boss, in-laws? 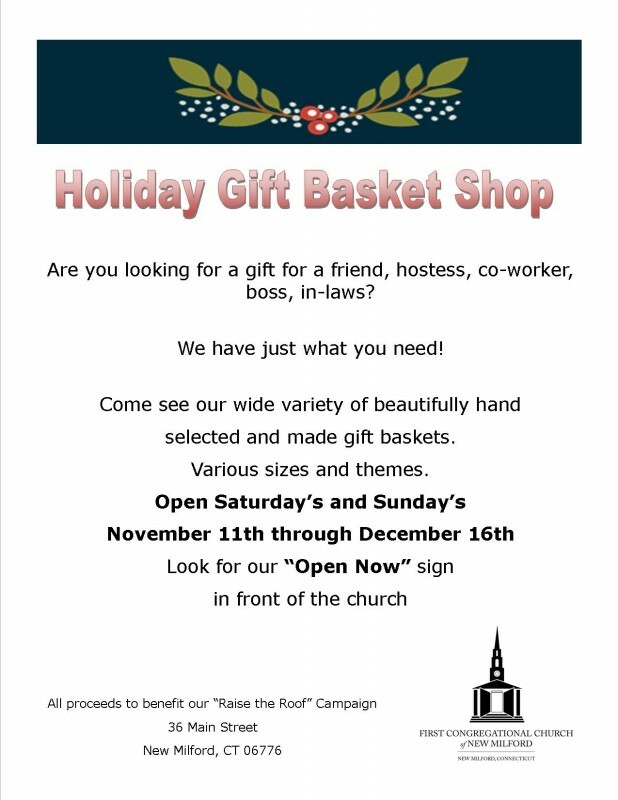 Come see our wide variety of beautifully hand selected and made gift baskets. Open Saturday's and Sunday's November 11th through December 16th. All proceeds to benefit our "Raise the Roof" Campaign.